The Camp Photon Wire Rack Pack 8 is a collection of some of the lightest ‘biners going. 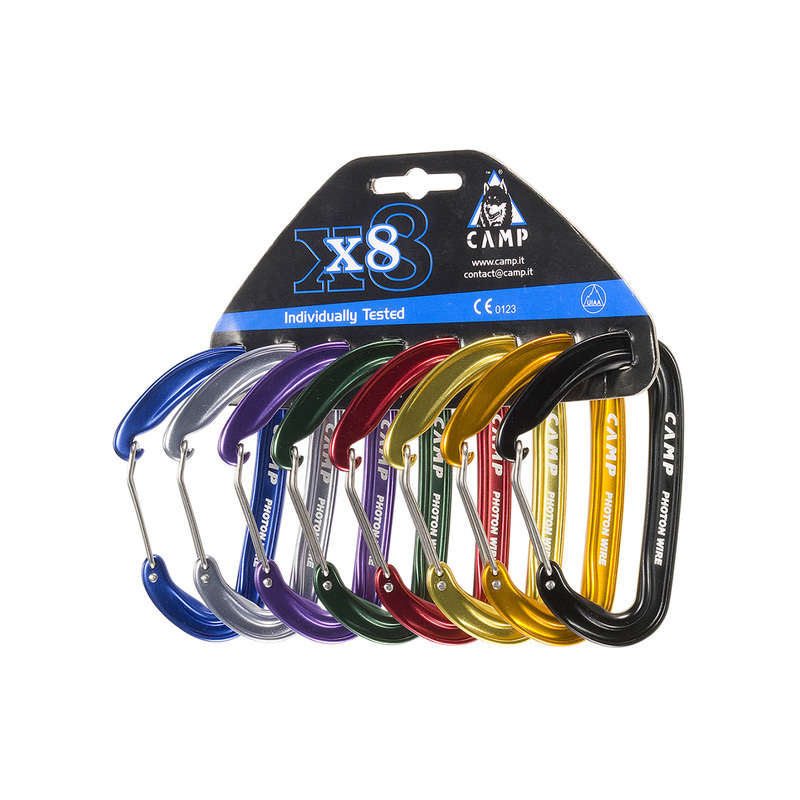 The Camp Photon Wire Rack Pack 8 is by no means a small ‘biner either, making it a great choice for many types of climbing, whether on the rock or ice. Clipping is easy thanks to the contoured wired gates, and the big gate opening makes them versatile for using either with your gear or with the rope. Not just a cool menagerie of colour; the ‘biners can be matched with corresponding gear colour to be noticed easily on the rack and reached for quickly on the rock. These jazzy numbers are good for trad leads and alpine mixed routes. Big ‘biners are better with bulky gloves, after all.